You are currently browsing the Suburban Homesteading – Frugal Living blog archives for September, 2009. Sustainable? Rotating crops and allowing field to lay fallow (unused), farmland can rest and continue to support agriculture for hundreds of years. Organic? Natural seeds, weed control, pest control and fertilizers produces healthier food while protecting the planet from harmful chemicals. Locally Grown? Locally produced food gives your family fresher food, it save on fuel because it’s not trucked long distances, it helps support the local economy. But, most of all it allows you, the consumer to meet and know area producers – putting a face to your food. Ethically Raised? Patronizing producers who provide a humanely raise and processed product promotes the continuation of these practices, encourages producers to stay engaged by providing them with a livable wage and also benefits the environment. Looking for a lively way to spend a family night at home? Try making your own pizza! When the economy started to turn, we tried looking for new ways to economize – even in our entertainment. Normally, movies were top on our list of fun activities. But, with movie prices increasing and quality, family friendly movies decreasing we had to come up with an alternative. One day I stopped by the local library to peruse the used book section (a favorite past time of mine) and found several wonderful movies for less than a dollar each. That week, on Friday night, we instituted “Pizza and a Movie”. For many months now, every Friday we watch our favorite movies and have pizza for dinner. But, not just any pizza – homemade pizza! With this simple-to-make dough recipe you may never have take-out again. The process is so easy. You can make the dough thin and crispy or thick and chewy, what ever each person prefers. The gang of movie goers will also love selecting their own toppings (use fresh from the garden seasonal veggies for a real treat) and building their own creations. 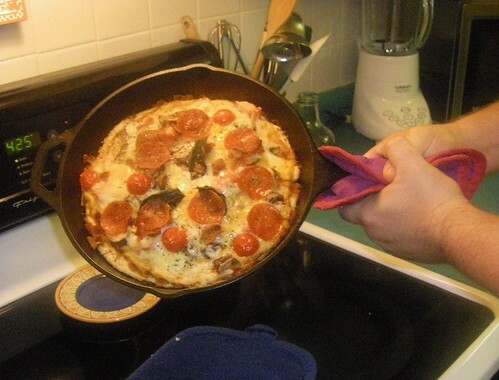 Baking it in a cast iron skillet brushed with olive oil will give the pizza an amazing flavor. It’s fun to see how something so simple could make a weekly ritual so much better. And the debates over whose pizza is best can take on a life of its own. To make your very own homemade pizza, start with the recipe below. But, in no time I bet you’ll be adding your own twist – like herbed, garlic or cheesy pizza dough. Add the yeast to the water and let it sit for 10 minutes. It should begin to look slightly foamy. Meanwhile, mix the flour, salt and sugar in a separate bowl. Then add the yeast mixture to those dry ingredients. Stir it until it’s well-mixed. The dough should be thick, requiring a little effort to mix it. Cover the bowl with plastic wrap or a clean kitchen towel, and let the dough rise in a warm- or room-temperature place for about two hours. Grease your frying pan lightly if it’s not already well seasoned. After the dough has risen, take it out of the bowl and lay it on a floured cutting board. Knead the dough: Push down on it, pushing it away from you with the heel of your hand. Mound it up into a ball and push down on it again. After 50 or so pushes, the dough should be smoother and less sticky. The dough can be rolled out with a rolling pin or just pushed into place in the pan with your fingers. It’s going to get covered with toppings anyway. The edges should come up a little on the side of the pan to form a rim. Although the dough takes about two hours to rise, if you’re short on time for rising, there’s not much difference. After you put the dough into the fry pan, it will rise anyway while you add toppings. This recipe bakes in a 10- or 12-inch frying pan. Or, you can make two smaller individual pizzas. You can make it however you prefer: low salt, low fat, organic or double the cheese, whatever you fancy. There’s hardly a way to fail other than having the water too hot, which kills yeast. Just starting out on your journey to a more self-reliant life? Live in a home with very limited growing space? Or, looking for a fall and winter garden closer to the backdoor? How about trying a salad box? Read more about these compact, easy to make mini gardens that will produce a bounty of salad greens and root vegetables throughout the cooler fall and winter months. If carpentry isn’t your forte try using plastic storage boxes or recycled wooden boxes. 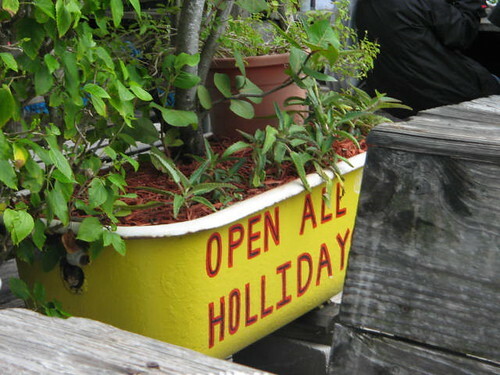 For extra creativity any container will suffice (wagon, wheelbarrow, old bath tub) as long as it has drainage holes in the bottom and is large enough for the amount of greens you want to grow. Are School Lunches Putting a Dent in Your Budget? It’s no wonder. Children are in school approximately 180 days a year. 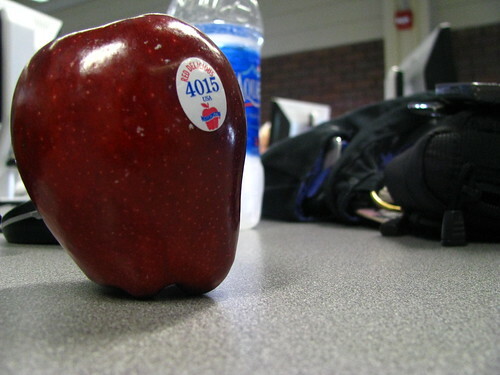 The average cost of a school lunch is about $2.66 per day. If you’re buying school lunches every day of the school year you’re spending almost $479 per child per year. And, if you’re buying a drink, you can add another 50 cents a day at least – that’s an extra $90. That’s a grand total of $569 for each child. Instead of paying to feed your kids highly processed, over sugared lunches, send them with fresh, good-for-you, homemade snacks and lunches, and save yourself a bundle. A favorite casserole, leftover from last night’s dinner, homemade soup or even a fresh sandwich made from home cooked turkey or chicken is much better than anything most schools have to offer. Have a selection of small nibbles like baby carrots and dip, celery and peanut butter, cubed cheeses, yoghurt or sliced fruit so kids can select their favorites. Encourage kids to be part of the process so they learn what makes a healthy well-rounded meal. Allow them to make suggestions about what they want to eat (as long as it fits into your healthy meal guidelines). To keep sliced fruit from turning brown, place about a teaspoon of lemon juice in a cup or so of water. Soak slices for a few minutes then dry and place in lunch containers. As summer fades in many parts of the country and trees start to show their brilliant fall colors, our minds turn to preparing for a change of seasons. Autumn is a favorite time for most – long walks spent admiring nature’s glory gives way to reflecting on what has passed in the summer just gone and what is yet to come with the approaching winter. No matter where you live there are always chores and preparations to be made for the coming fall and winter months. The list below is just a sampling of the kinds of things you should be thinking about to ready your suburban homestead for the coming months. Gather fall leaves to feed your compost pile, or pile them around plants that are less cold tolerant to help keep them warm during the winter. Even pine boughs can be used to lessen the damage from freezing and thawing temperatures. If your garden is new or limited in selection, take advantage of seasonal fruits and vegetables for canning and freezing. Pick and store beans that have dried on the vine. Even small amounts can be used to enliven soups and stews, or made into small pots of baked beans. Any beans not picked young and at their peak can be left to dry on the vine. Trim vines and berry canes of debris and dead canes. Cover with mulch or straw. Pull up, clean and store garden trellises, stakes and tomato cages. Cut back spent perennials and lightly prune fruit trees, removing broken branches. Pull all dead and dying annuals; chop and add to compost. Plant garlic for a wonderful spring harvest. In temperate areas, cool weather crops with short growing times can still be planted. Rake and lightly till garden areas. Add compost, leaves or mulch to enrich the soil over the winter. Clean, repair and store gardening tools. Clean and store rototillers and cultivators. Clean, repair and prepare cold frames for planting cool weather crops. To extend your egg production, set up lights in the chicken coop to give hens the illusion of longer days. Simple, inexpensive timers can also be installed to automatically turn lights off. If freezing is a problem, set up heat lamps over water troughs to keep water thawed. Final batches of meat chickens should be ordered so they finish off before the weather turns too cold. Put down thick layer, 3 to 4-inches, of litter (straw, shavings, leaves, etc) in chicken coop for winter bedding. Don’t forget nesting boxes. Enclose rabbit hutches or move to a protected area to protect against cold winds, rain and snow. Wrap pipes, especially in the garden, chicken coop and outbuildings, to prevent bursting from freezing weather. Check all livestock supplies and reorder if necessary. Pay special attention to supplies needed for newborns. Check lighting and repair or replace bulbs for winter use. Administer any seasonal booster shots or vaccinations. Make sure alternate power sources, like generators are in good working order. Relocate outdoor clothes lines to more accessible indoor locations like basements or garages. Lay in a supply of firewood to take the chill off early fall temps and to augment the use of your furnace. Air out cold weather bedding like wool blankets and down comforters. Check weather stripping and replace or add where needed. Store garden and lawn furniture and BBQ’s so cold winter temperatures don’t cause damage. Inspect any equipment used in winter, like snow blowers or snow plows and service if needed. Review household expenses for services or regular purchases you seldom use – then cancel or alter contracts or monthly plans to fit your budget. Make sure plans have not been altered or prices raised without your notice, causing you to pay more. Fall is a great time to start the de-cluttering process. Choose one cabinet, closet or drawer per week to clean out and organize. Donate cast-offs to charity or plan a garage sale. In the kitchen: Rotate stockpiled food items, especially canned foods, bottled water and emergency supplies. Update family phone lists and emergency information. Include any new work, school, family or neighbor information. If you live in an area that is prone to harsh winters with power outages, school and road closures, stock up on staples and enough food to last several days to a week. Don’t forget about pet and livestock feed as well. Running to the grocery or feed store may not be an option if the weather gets really bad. Clean and reorganize freezer in preparation for fall harvests. As a homesteader, autumn gives us time to assess what has worked in our quest to be self-reliant and what may still need our attention. It also gives us a break from the constant list of chores to plan, start new projects, or learn new skills. Enjoy this time of year; pour over every new seed and livestock catalog that arrives in the mail; dream beyond all imagine, before you have to stop yourself, take a deep breath and reexamine every aspect of your overall homesteading plan. A great way to remind your self of seasonal chores is to make a chart of what you want (or need) to accomplish in any given season. That way you can “check-off” completed projects while still being reminded of those yet to finish. Keep your chart handy on an Excel spreadsheet so you can add to it. Fall is a season with so many pleasurable activities and a favorite amongst young and old alike is gathering apples and making fresh apple cider. There’s just something about that burst of flavor when you drink an ice cold glass of cider. Whether it’s a warm and sunny “tee-shirt and shorts kind of day”, or a brisk New England day when a jacket or sweater feels just right, a day spent in an orchard is great fun for the whole family. If you’re like most folks, you might not get a lot chances to visit an apple orchard, so make a day of it! 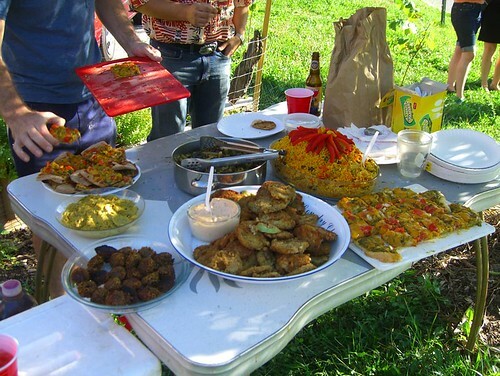 Pack a picnic, complete with picnic basket and blanket and lunch in an orchard. Making memories is all part of the fun. If your area has many orchards in a small geographic area visit several and taste different apple varieties and ciders like adults taste wine. 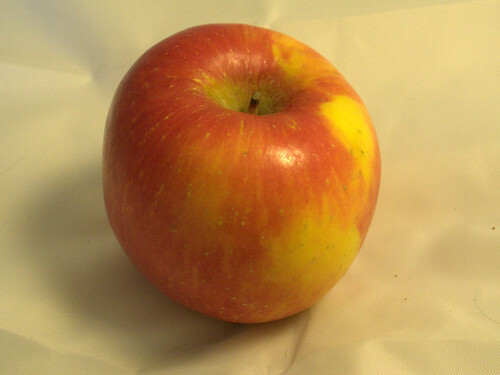 Apples are influenced by climate and their environment and it’s amazing how everyone will discover a personal favorite. Google your area or state to find apple growing areas near you. It’s usually best to arrive at the orchard early in the day, although any time of day will work. Many orchards have tasting rooms that offer slices of the varities they grow, while others allow visitors to roam the orchards picking and filling their own box or basket. (One rule though: treat apples like they’re eggs. Apples bruise easily, so be gentle with them). While you’re picking, think about all the things you can do with your bounty: apples for snacking, apples for apple sauce, apples for pies and cobblers, apples for smoothies…the list goes on! Check out this link for wonderful apple recipes. If making homemade cider is on your list of activities read more about pressing your own cider here.